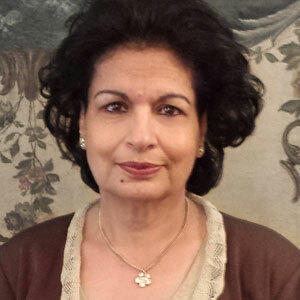 Surishtha Sehgal was a university professor who now enjoys reading with children during story time. 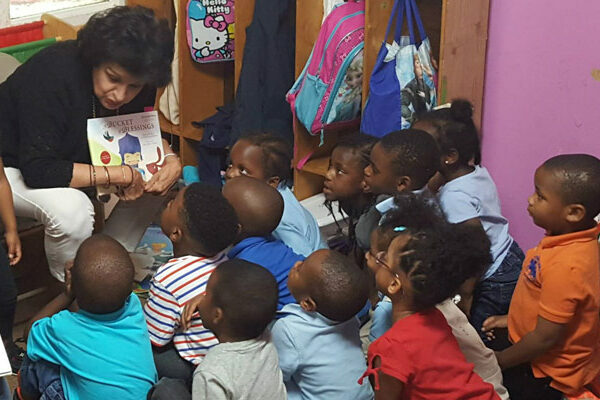 She is a New York Times bestselling author and the founder of a nonprofit that supports children’s education and promotes social responsibility in students. She enjoys reading, swimming, listening to classical music and jazz. She lives with her family in Atlanta. 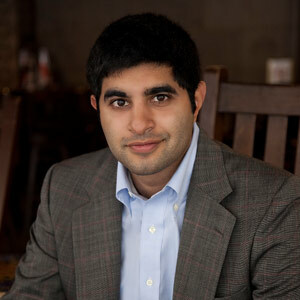 Kabir Sehgal started his class newspaper in second grade and has been writing ever since. 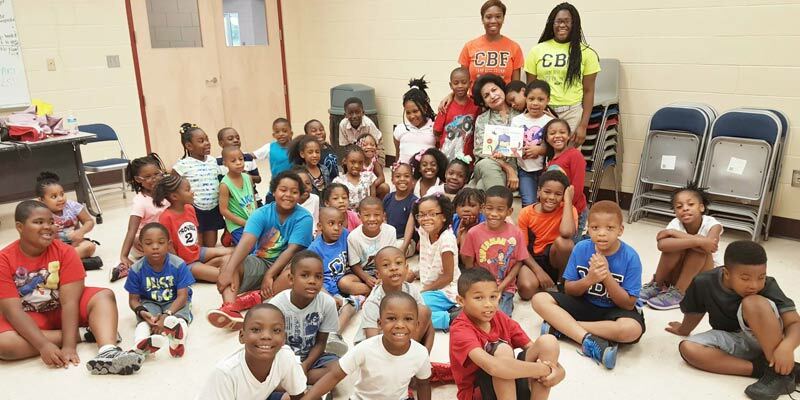 A bestselling author of several adult and children’s books, he is also the winner of multiple Grammy and Latin Grammy Awards as well as a military veteran. He lives in New York. 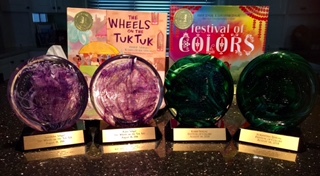 Together they have written six children’s books including, A Bucket of Blessings, which was adapted into a stage production at the Alliance Theatre, The Wheels on the Tuk Tuk and Festival of Colors were selected as “A book All Young Georgians Should Read” by the Ga. Center for the Book. Forthcoming releases are Thread of Love, P is For Poppadoms, Mother Goes to India. 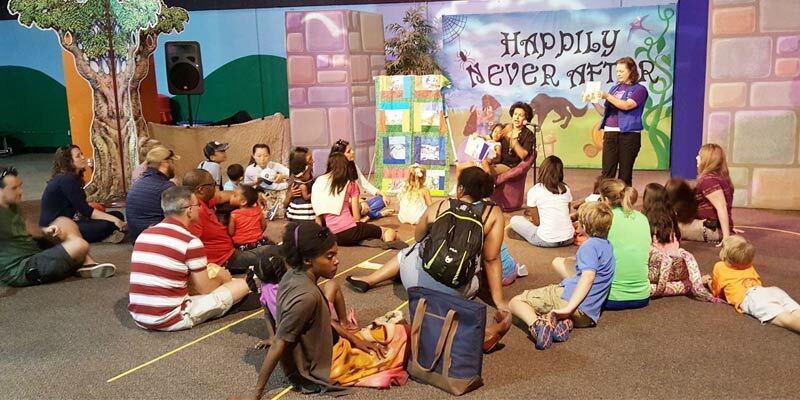 A Bucket of Blessings has been turned into a stage performance at the Alliance Theater. 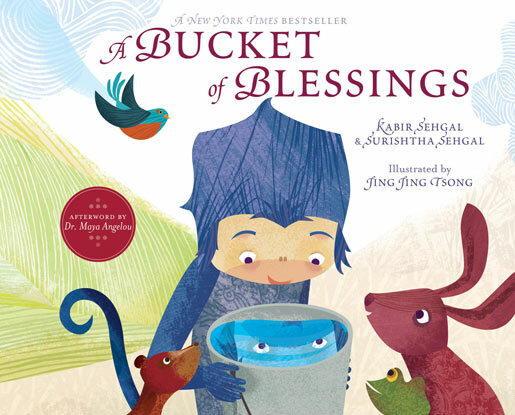 Based on the New York Times bestselling children’s book “A Bucket of Blessings” by Kabir Sehgal and Surishtha Sehgal. For more information, visit The Alliance Theatre. This show is part of the Kathy & Ken Bernhardt Theatre for the Very Young series. 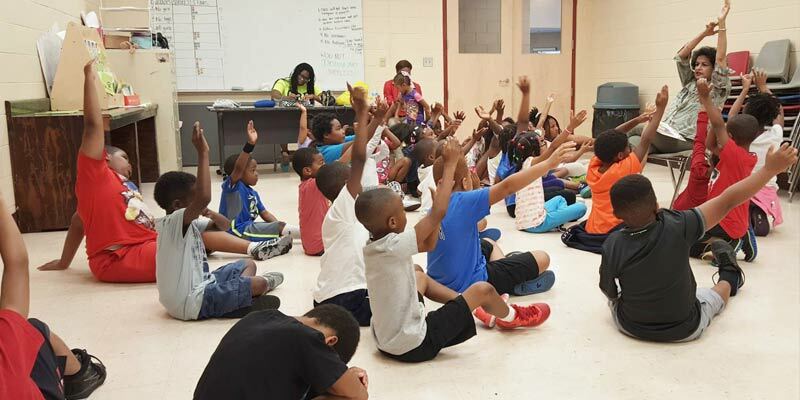 Mayor’s Book Club Selects Bucket! 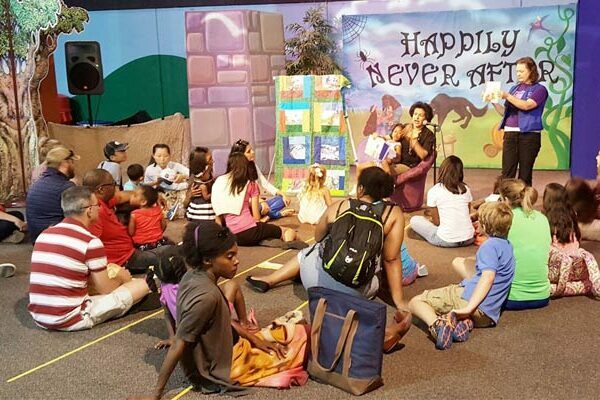 What a delightful way to introduce very young children, especially those who do not yet know how to read, to the pleasures of books and travel! Like its predecessor, "Bucket of Blessing," is lavishly illustrated and set in an exotic (at least for US kids) locale, making it fun for anyone to see and leaf through. It also draws on a familiar nursery song to acquaint them with the fun and color of street life in an Indian town. I couldn't resist singing the narrative myself! And if the kids want to know what a "Wala" man is, there is a brief glossary of unfamiliar terms at the end. A perfect entry from a mother and son team who really understand what children like and how they learn. "The story is told simply, and the illustrations are gorgeous." I bought this book to read to my 6-year old son and 4-year old daughter. They loved looking at the beautiful animals and learning about why water is so important. This book is magical, both in the retelling of a traditional Indian tale and in its vivid and captivating illustrations! 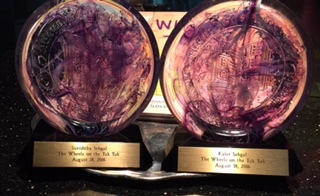 It is a story about hope, persistence, and trust, virtues of enduring value to children. 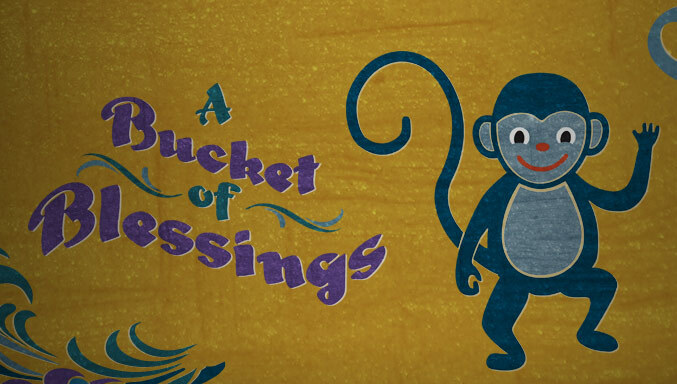 Bucket of Blessingss is a wonderful children’s book beautifully illustrated with a universal message for both young and old. "The Wheels on the Tuk Tuk"
– I thoroughly enjoyed reading this book. The illustration is amazing and captures the spirit of the festival! 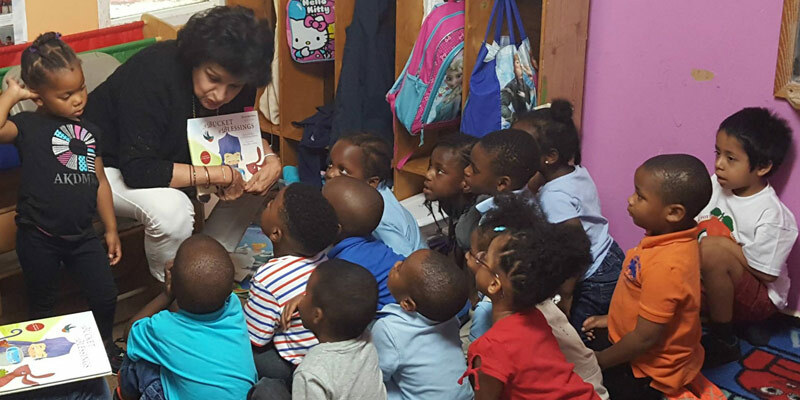 – As parents, my wife and I are always looking for uplifting, diverse, spiritually minded books to read and share with our two-year-old. 'Festival of Colors' is a wonderful addition to our library, introducing the delightful holiday of Holi to our daughter in a fun and simple way. Highly recommended! Holi Hai!!! – An inviting book for younger kids. Beautifully illustrated, it teaches them more about the world as it teaches them their colors. An important book when you want to expose your children to diversity. 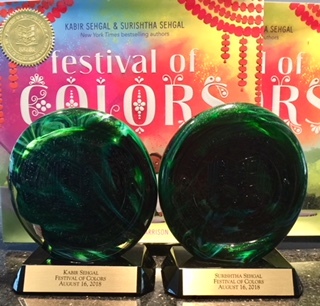 – Breathtaking illustrations and a great approach to explaining making the colored powder and celebrating the holiday. A good culture and even STEAM book! 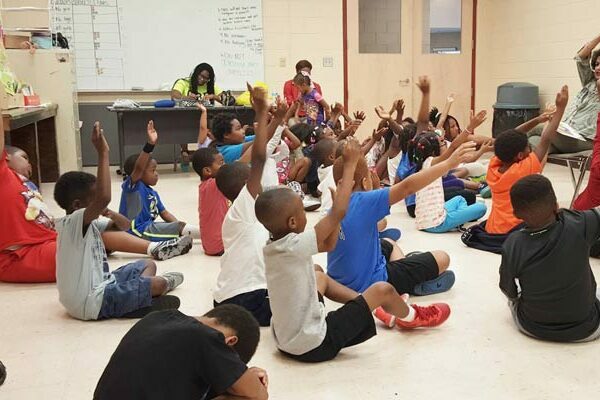 Centers of Hope (Mayor’s Reading Program)-Rosel Fann, Lake Altoona, Grant Park, Pittman Park, Martin Luther King, South Bend, Bessie Branham, Peachtree Hill, Grove Park, Coan Park, Horizons-Georgia Institute of Technology, Horizons-Atlanta Technical College, Davis Academy, Mt. Agnes Jones Elementary, Thomasville Center of Hope, Woodruff Arts Center, Atlanta International School, Immaculate Heart of Mary Catholic School, Bright Horizons, Pace Academy, Woodward Academy, Headstart Montessori, Westminster School, Foxtale Book Shop, Darlington School, KIPP-Vision, Quality Care-Druid Hills Child Development Center, QCC-Suburban Nursery School, QCC-Legacy Academy for Children, River Oak Daycare, Barnes and Noble-Perimeter, KIPP-Ways, Lovett School, Mt. 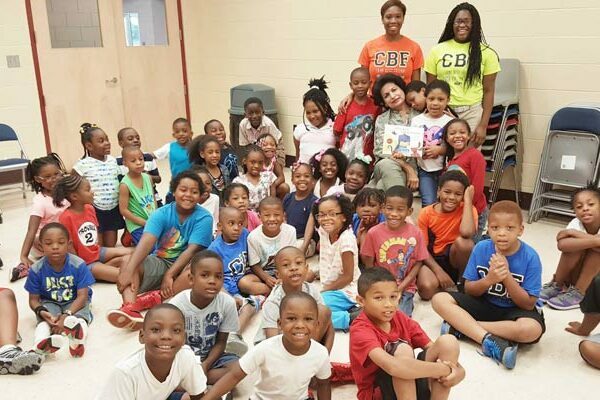 Agnes Jones Elementary, Little Scholars Academy, Children’s Museum of Atlanta, Woodruff Arts Center-Family Day, Centers of Hope-Ben Hill Center, Decatur Book Festival, Childcare Center-Atlanta Technical College, Paideia School, Drew Carter Elementary, Dunbar Elementary, Beacher Hill Elementary, Trinity School, Mt. Vernon Presbyterian School, Barnes and Noble-Peachtree St. Buckhead, Summer Trading Program at P.L. Dunbar Elementary, Get Georgia Reading Event, Horizon’s-Atlanta Technical College, Boys and Girls Club-Woolfolk, Atlanta Public Schools, Morningside Elementary School Kindergarten Center. To schedule a reading please contact us by filling out the form just above this section. Join our mailing list to stay up to date on news and events related to these authors.